(?) May married Dorothy Sewall, daughter of (?) Sewall and Elizabeth Quincy. Married Name Her married name was Alcott. Abigail May married Amos Bronson Alcott. Abigail May was born in 1800. She was the daughter of (?) May and Dorothy Sewall. Abigail May died in 1877. Amos Bronson Alcott married Abigail May, daughter of (?) May and Dorothy Sewall. Amos Bronson Alcott was born in 1799. Louisa May Alcott was never married. She was born on 29 November 1832 at Pennsylvania. She was the daughter of Amos Bronson Alcott and Abigail May. 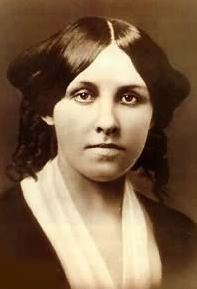 Louisa May Alcott died on 6 March 1888 at Massachusetts at age 55. American Novelist. Louisa May Alcott's transcendentalist family supported abolitionist and feminist movements during the Civil War. Her family was the inspiration for her best known novels, Little Women and Little Men. Married Name Her married name was Wine. Keturah Borton married (?) Wine. Keturah Borton was born in 1788. She was the daughter of (?) Borton and Charity Rogers. Keturah Borton died in 1846. (?) Wine married Keturah Borton, daughter of (?) Borton and Charity Rogers. Married Name Her married name was Borton. Charity Rogers married (?) Borton. Charity Rogers was born in 1765. She was the daughter of John Rogers. Charity Rogers died in 1821. (?) Borton married Charity Rogers, daughter of John Rogers. John Rogers was born in 1729. He was the son of Joseph Rogers. John Rogers died in 1810. Joseph Rogers was born in 1692. He was the son of (?) Rogers and Mary Groom. Joseph Rogers died in 1764. Married Name Her married name was Rogers. Mary Groom married (?) Rogers. Mary Groom was born in 1665. (?) Rogers married Mary Groom. William Rogers was born in 1685. William Rogers died in 1736. William Rogers was born in 1705. He was the son of William Rogers. William Rogers died in 1771. Abner Rogers was born in 1728. Abner Rogers died in 1804. Married Name Her married name was Stevenson. Lettice Rogers married (?) Stevenson. Lettice Rogers was born in 1755. She was the daughter of Abner Rogers. Lettice Rogers died in 1796. (?) Stevenson married Lettice Rogers, daughter of Abner Rogers. Married Name Her married name was Garoutte. Elizabeth Jones Stevenson married (?) Garoutte. Elizabeth Jones Stevenson was born in 1791. She was the daughter of (?) Stevenson and Lettice Rogers. Elizabeth Jones Stevenson died in 1866. (?) Garoutte married Elizabeth Jones Stevenson, daughter of (?) Stevenson and Lettice Rogers. Married Name Her married name was Snyder. Name Variation Elizabeth Garoutte was also known as Libby. Elizabeth Garoutte married (?) Snyder. Elizabeth Garoutte was born in 1833. She was the daughter of (?) Garoutte and Elizabeth Jones Stevenson. Elizabeth Garoutte died in 1897. (?) Snyder married Elizabeth Garoutte, daughter of (?) Garoutte and Elizabeth Jones Stevenson. Clarinda Isabel Snyder married (?) Brown. Clarinda Isabel Snyder was born in 1848. She was the daughter of (?) Snyder and Elizabeth Garoutte. Clarinda Isabel Snyder died in 1918. (?) Brown married Clarinda Isabel Snyder, daughter of (?) Snyder and Elizabeth Garoutte. Married Name Her married name was Morrison. Mary Alberta Brown married Clyde Leonard Morrison, son of (?) Morrison and Weltha Chase Parsons. Mary Alberta Brown was born in 1885. She was the daughter of (?) Brown and Clarinda Isabel Snyder. Mary Alberta Brown died in 1970. Clyde Leonard Morrison was the son of (?) Morrison and Weltha Chase Parsons. Clyde Leonard Morrison married Mary Alberta Brown, daughter of (?) Brown and Clarinda Isabel Snyder. Name Variation Marion Michael Morrison was also known as John Wayne. Marion Michael Morrison was born in 1907. He was the son of Clyde Leonard Morrison and Mary Alberta Brown. Marion Michael Morrison died in 1979. American Actor. 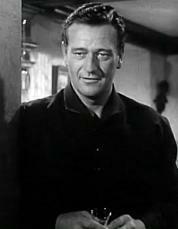 John Wayne, a western film icon, was named Marion Robert Morrison at birth. His parents later changed his name to Marion Michael Morrison. He starred in many different movies including True Grit, The Alamo, and The Green Berets. Married Name Her married name was McWilliams. Clara Maria Dana married (?) McWilliams. Clara Maria Dana was born in 1846. She was the daughter of William G. Dana. Clara Maria Dana died in 1920. (?) McWilliams married Clara Maria Dana, daughter of William G. Dana. William G. Dana was born in 1811. He was the son of George Dana. William G. Dana died in 1849. George Dana was born in 1764. He was the son of (?) Dana and Margaret Clark. George Dana died in 1821.